rting retinal health may outshine its legendary “night vision” reputation. Nourishing the retina. Bilberry compounds naturally migrate to the eye’s retina, where they provide protective antioxidant and inflammation-modulating activity. Supporting retinal circulation. Bilberry may help to keep the capillaries that supply the eyes with blood flow healthy, flexible and strong. Maintaining rhodopsin. This compound naturally present in the eyes is important for low-light vision and vision that adjusts quickly to changes in light. 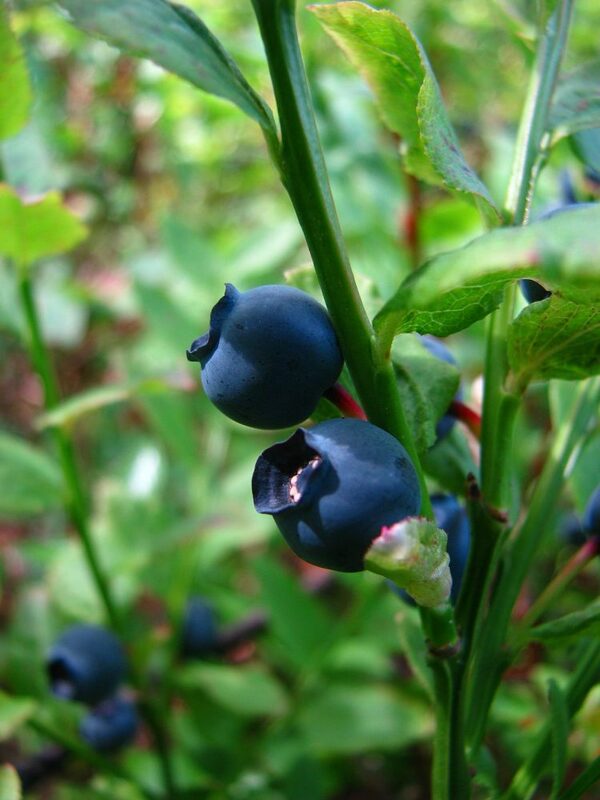 lso called Vaccinium myrtillus or European Blueberry, bilberry is a relative of the blueberry known for growing wild in Europe, Canada and the United States. In Europe, especially in Sweden, Bilberry is an important a staple ingredient in preserves, pies, pastries and wines. 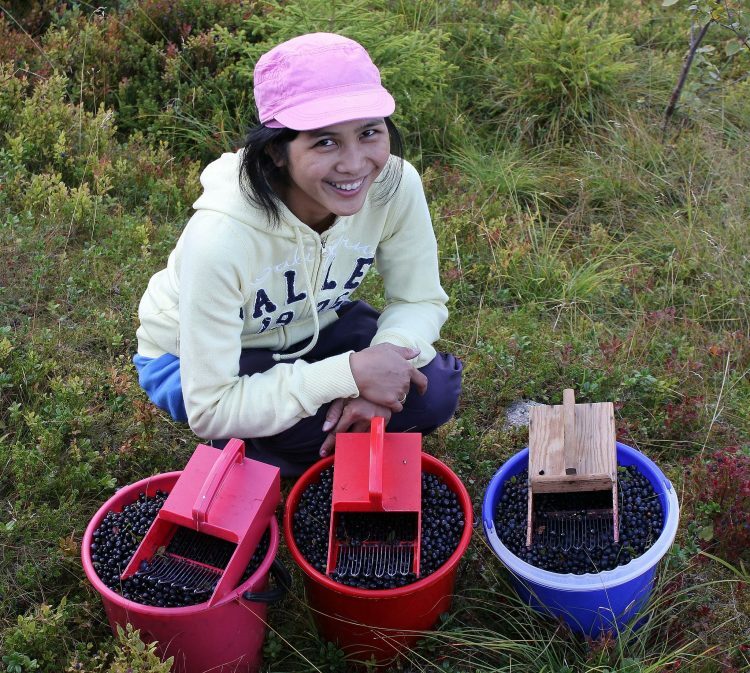 Bilberry is also a longstanding herbal remedy in that part of the world, with uses in folk wellness practices stretching back over 1,000 years. He needs ammo. Good night vision would sure help, too. Among its many folk herbalism uses, bilberry has long been associated with enhancements to vision performance, with a particularly strong reputation for helping with night blindness. 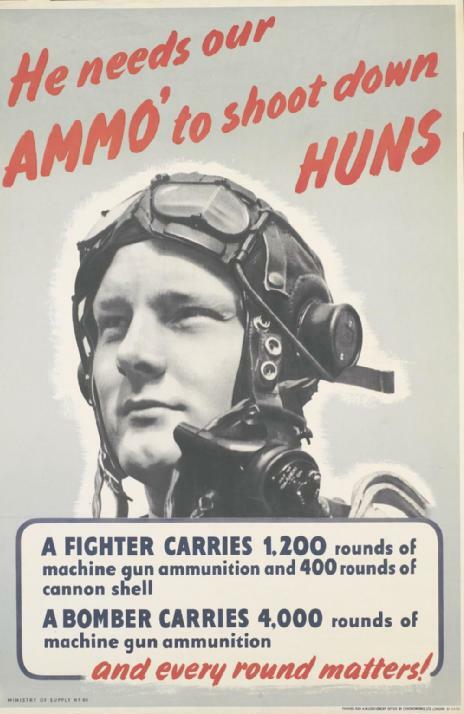 According to legend, Bilberry was used by British Royal Air Force Pilots during World War II because they believed it improved their night vision while they were flying missions. Although the Fighter Pilot story is compelling, strong research hasn’t yet validated this specific bilberry vision performance benefit. However, bilberry appears to show great potential as an overall vision enhancer, primarily due to its unique antioxidant “fingerprint” that appears well-suited for supporting retinal health. #8217;s rich color — darker than blueberry — reflects high levels of plant pigments called anthocyanins, which are potent antioxidants derived from the red, purple, violet and blue pigments found in bilberry and other antioxidant rich berries. Bilberry is an antioxidant powerhouse. Of all its antioxidant classes, the anthocyanins seem to have drawn the most interest as the primary active compounds behind bilberry’s wellness benefits. A sub-class of anthocyanins called anthocyanosides are believed to be responsible for its vision performance benefits, specifically. Bilberry’s rich purple antioxidant pigments naturally migrate to the eye’s pigmented epithelium, in a part of the retina that regulates the eye’s responsiveness to changes from light to dark. The natural affinity between bilberry antioxidants and the retina’s light-dark-sensing epithelium seems to lend credence to bilberry’s famous role as a night vision enhancer. 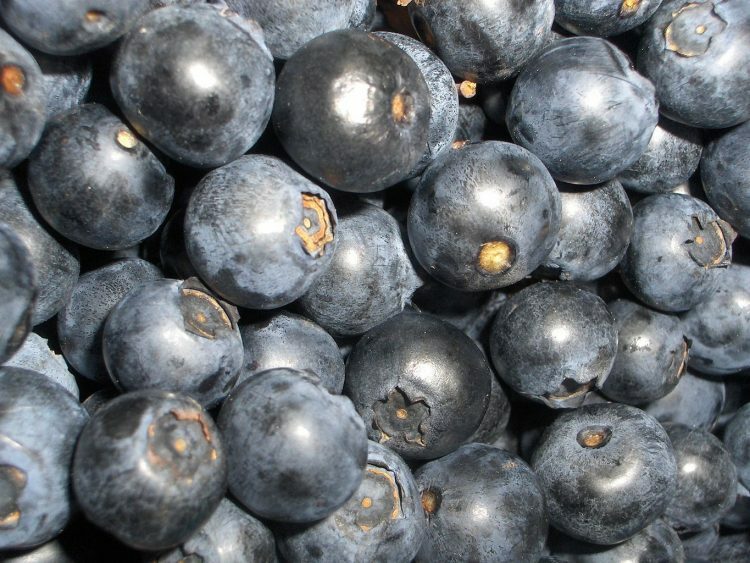 While bilberry’s antioxidant activity is strongly associated with its potential ocular health benefits, it also appears to offer additional mechanisms of action that may further support eye health. Let’s check them out. What does Bilberry taste like? Bilberry’s taste has been described as a mix of tart and sweet flavors; similar to blueberries, but stronger and earthier. Bilberry seeds are also more numerous than blueberry seeds, lending a pleasing texture to the berry. Bilberries are softer and juicier than blueberries; while adding another flavor note this also makes bilberries highly perishable and fragile. Some bilberry supplements in capsule form can be opened and added to hot water to make “tea” that conveys bilberry’s unique flavor. Bilberry tea is also a popular method of delivery in traditional herbalism, historically used for digestive problems. bilberry evidence for night vision seems conflicted; a surprising development given its reputation. 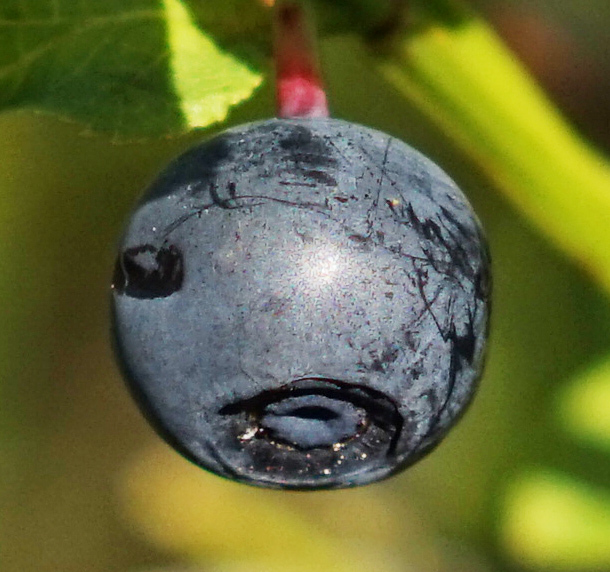 Part of the issue might be that while bilberry’s active anthocyanin compounds have been studied extensively, bilberry as a fruit or supplement has limited clinical research in vision health. In this randomized, placebo controlled, crossover study, 30 middle aged volunteers with myopia (nearsightedness) were given either 400 mg fermented bilberry extract or placebo daily. 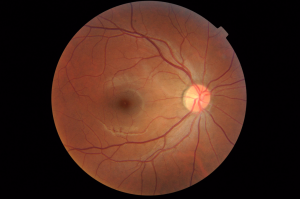 Subjects were tested for visual acuity, mesopic contrast sensitivity, refraction and pupil constriction one month before and one month after the supplementation period. Researchers reported significant increases in accommodation — the process by which eyes shift their power to target and focus on moving objects in the distance — and mesopic contrast sensitivity, an eye function that is critical for vision performance aspects including glare or night vision. In this randomized, double-blind, placebo-controlled trial, 60 patients with myopia in both eyes received either 100 mg antioxidant tablet (85% anthocyanoside oligomer) or placebo 2X daily for a span of 4 weeks. Subjects were tested for night vision and answered questionnaires before and after the study period. 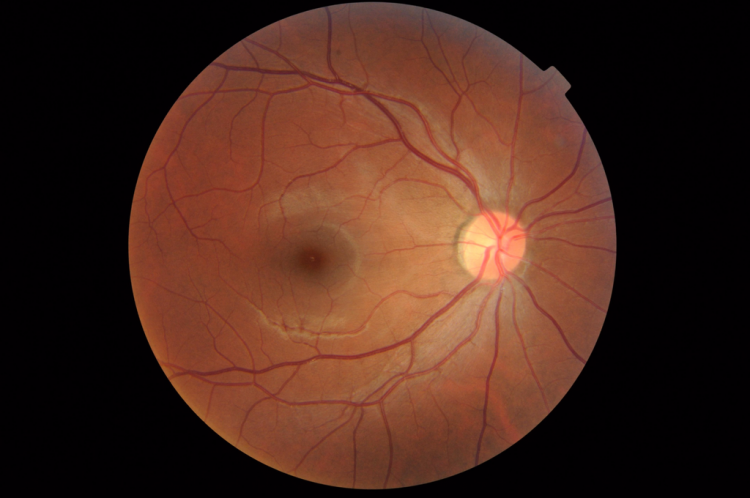 At the study’s conclusion, the questionnaires showed that 73% of patients (22 subjects) taking anthocyanosides reported vision performance improvement, versus just 1 subject in the control group. Researchers also noted significant improvements in contrast sensitivity in the anthocyanosides group when compared to placebo. This double blind, placebo controlled, crossover study administered 160 mg bilberry as a standardized extract (25% anthocyanosides) 3X daily to young men with good vision over a course of 21 days. This was followed by a washout period of one month, followed by the three-week crossover. Throughout the three-month study, researchers tested subjects for their night visual acuity (VA) and contrast sensitivity (CS). Researchers reported that the bilberry extract had no significant effects on night vision VA or CS. In this review, researchers started with 30 clinical trials that investigated bilberry for vision health, whittling down to 12 placebo-controlled trials that included night vision testing, specifically. In analyzing these 12 trials, researchers pointed out that the four most recent clinical trials were all negative in terms of bilberry helping with night vision — but they also acknowledged the negative results might be due to low dosage or lower-potency supplements. A fifth clinical trial, along with 7 non-randomized trials, all reported that bilberry seemed to improve night vision — but researchers pointed out that these positive studies appeared to not be as well-designed as the studies finding negative results. 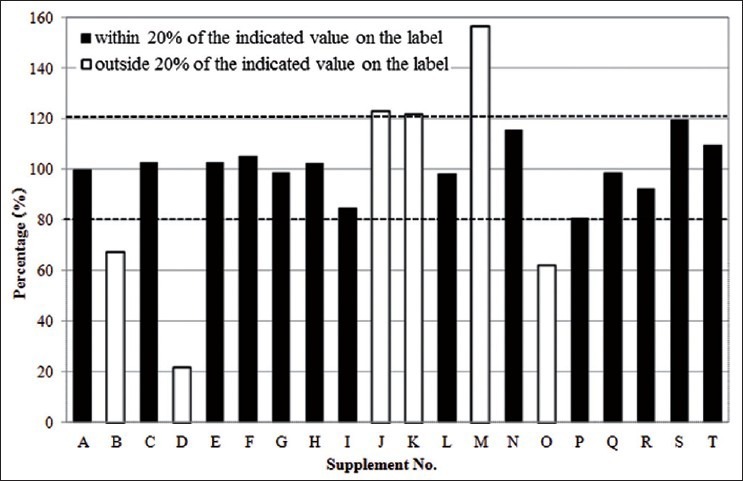 Percentage of actual measured total anthocyanins versus the amount listed on the label of bilberry supplements that were tested in one study. We believe Bilberry is a strong supplement choice for vision health. Although human research is somewhat limited, there is abundant research backing bilberry’s active anthocyanin compounds for eye health, along with a long history of bilberry use for various aspects of vision performance. 25 mg seems a good starting bilberry dosage for vision health. Try this dosage for a month and see if you notice any improvements. Given the quality and potency concerns of bilberry supplements, it is important to take bilberry that is standardized to at least 25% anthocyanosides. Standardized bilberry assures you will get a precise level of these active constituents for vision health support.